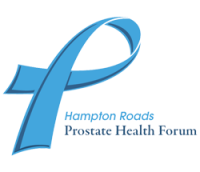 Hampton Roads Prostate Health Forum encourages community engagement at every level. This page provides information about what the group is doing in the community and ways in which anyone–survivors, advocates, supporters, researchers, clergy or friends can get involved with supporting our mission. If you’d like to make a financial contribution, please visit our Donate page. A directory of active Hampton Roads community support groups is included below. This directory will be updated as new groups are formed.